Picking a career path is a daunting task for any young graduate, in this series of articles I aim to show graduates what their role would be in various careers. This week, Bobby Treacy interviewed Donal Murphy, Director of Anti Money Laundering at a major financial services company. Share the post "On the professional front line: Anti-money laundering"
What sort of qualifications are most relevant to Anti-Money Laundering (AML)? There is a broad spectrum of qualifications that are relevant for employment in AML. Degrees in the realm of Law, Finance, Business and Economics are common. There is a professional qualification known as the CAMS (Certified Anti-Money Laundering Specialist) which is considered a gold standard within the industry. Locally, the ACOI is a valuable resource and runs seminars for members to attend and keep up-to-date on industry developments. An ideal candidate would have completed a project in college demonstrating knowledge of anti-money laundering legislation such as the EU Anti Money Laundering directives, Banking Secrecy Act, Criminal Justice Act etc. In terms of what we look for in personal qualities; resourcefulness would be high on the list. It is rare that we get a simple case where the information we need can be found with a few clicks of a mouse, most cases will require a bit more research. People who are tenacious and can think outside the box are invaluable. These qualities are useful in performing in-depth research to uncover pieces of key information from a reliable source about a potential investor. College students should know that experience is highly desirable on a CV. If you have the opportunity to do an internship or gain experience in this area at a financial services firm you absolutely should. 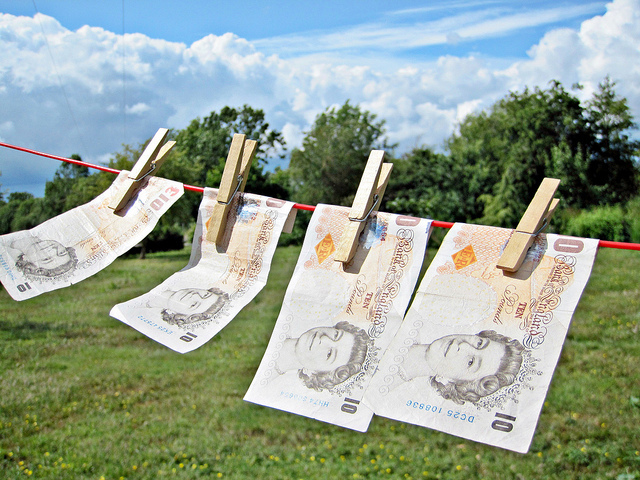 What does a typical day look like for someone working in Anti-Money Laundering? On a daily basis the AML teams and Investor Services teams work together closely to perform screening of new investors. We screen all new investors and ensure that there are no PEPs (Politically Exposed Persons), sanctioned individuals or companies, or investors with adverse media. One of the main tasks that is performed daily is reviews of customer due diligence. This is a review of documentation provided by an investor as evidence they are who they claim to be. The questions we are asking when we review these documents are: Are these documents of good enough quality? Do they sufficiently document the corporate structure where the investor is a multi-layered legal entity? This review aims to confirm whether documentation provided is sufficient or whether we need to get more documentation from this investor to establish their identity. Transaction monitoring is another important task performed by the AML Team. It is performed on a monthly basis, in line with the dealing frequency of our clients. Banks and larger financial intuitions would monitor transactions daily, most likely with a highly sophisticated system given the significantly larger volume of transactions they are dealing with. Can you explain in more detail how research is done? Another part of researching is screening through Watchlists. We use an application which contains hundreds of “Watchlists” from all over the world (such as the EU Financial Sanctions list, OFAC, FBI most wanted persons) and this application will flag up any matches against the investors we screen. When an alert is generated against the name of an investor, we often need to do some research about the person. We then use Google to search for information about people and companies, so we can build up a profile about the investor, where they have earned their wealth, what companies they work for etc. Reliable sources such as Bloomberg, Reuters, Financial Times, Forbes, are ideally where we want to get our information from, however more obscure cases need more research than just the aforementioned news outlets. The same must be done for institutions; we must research who the directors are and ultimately who are the beneficial owners of the company. This is often easier said than done. Personally, I really enjoy hiring people and then seeing them develop and meet or surpass your expectations, it’s very rewarding! Apart from that; the most fulfilling part of the job is when you have a very complex case that you spend hours working on and finally crack through all the layers. Ensuring that your client is protected from any investors who’ve gained their income from illicit means is certainly highly rewarding. Most of the time the job is not stressful. There can be some stress if a procedure is not followed resulting in a failure to document an investor fully, or when something gets missed. These are rare however. The people who work in AML tend to be extremely diligent, they leave no stone unturned. Audits by Financial Regulators can be a source of stress, if our processes are not being adhered to properly the consequences could be sizeable, both for the firm and its clients. They can also potentially be quite satisfying once concluded in a successful manner. What can a graduate expect their career to look like? Ireland has a large financial services sector with a very competitive jobs market at present. The AML job market is extremely competitive and given the ongoing changes to regulation and emphasis on the area of AML, this doesn’t look likely to change any time soon. As with any job, your compensation reflects your experience level and performance, but rough salary estimate for entry level AML is mid-to-high 20s. In terms of opportunities to develop into more senior roles, this will very much depend on the company you work at.